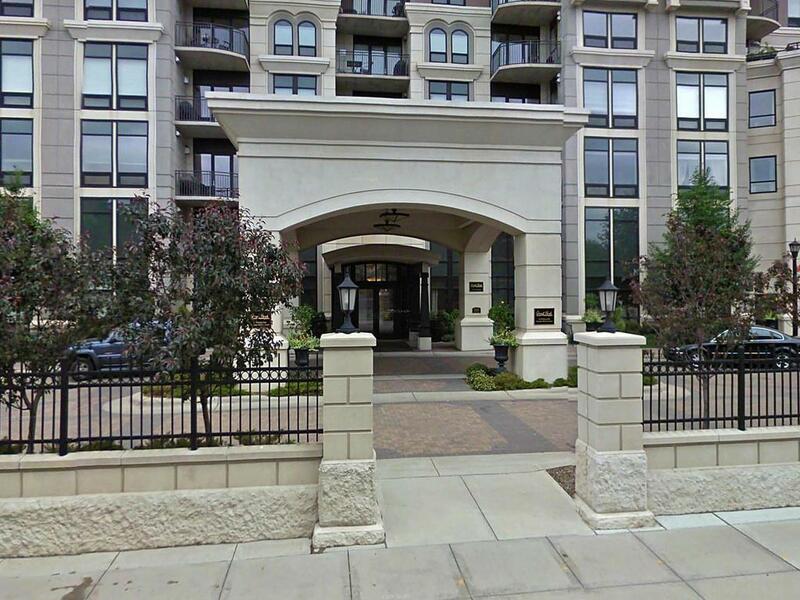 Stunning south facing 2 bdrm, 2 bath condo at luxurious Grant Park! Beautifully updated with marble center Island, stylish new flooring, custom stone fireplace, new bathroom vanities with Quartz countertops, stunning light fixtures, Hunter Douglas window treatments and newer appliances. Additional features include charming Palladian windows, built-in desk, balcony, laundry room and 2 parking spaces. Enjoy resort-like living with spa, pool, party rm, court-yard and 24 hr concierge service.